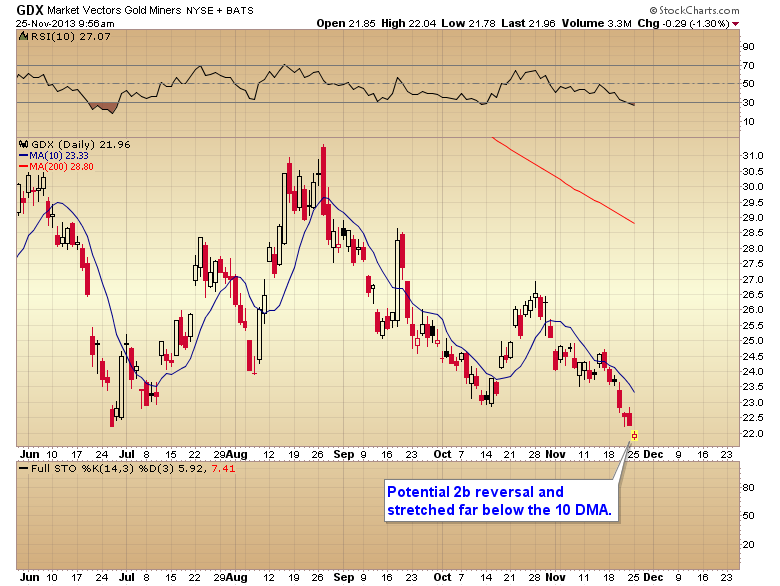 Gold: brief pause, or final bottom? Something may have changed today in the gold market. For one I think gold probably formed a minor daily cycle bottom today. But what I’m really talking about is the complete recovery from another middle of the night attack. For most of the last year these late night attacks have worked wonders for sending gold crashing through technical levels and triggering stops. Today however it simply didn’t work for the first time. It’s been my opinion for months now that the forces behind these take downs were trying to push gold back down to the 2008 C-wave top at $1030. 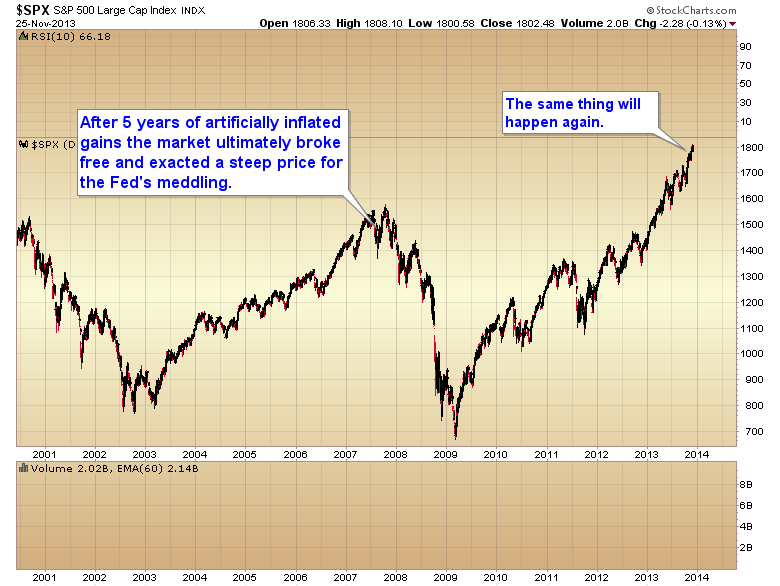 At which point I expected they would flip sides and go long for the bubble phase of the bull market. After watching gold fight off the manipulation today I’m starting to wonder if gold has been pushed as far as it’s going to go. At some point all artificial markets finally say “enough is enough” and the fundamentals regain control and take the market back in the direction it was meant to go. Usually more aggressively than would have happened naturally. We saw this in spades in 2008/09. If gold is finally ready to break free of the year long manipulation then we may have printed a final bottom today. The next couple of days should tell the tale. If gold can rally $40-$50 tomorrow or Wednesday, and the miners 5% – 10% on heavy volume that would in my opinion be a strong signal that today was more than just a minor daily cycle low. If gold can deliver a powerful follow through surge off of this reversal then we may just have a final intermediate bottom, and maybe, just maybe, the bubble phase of the bull market is ready to begin. I told my subscribers this afternoon, miners have the potential to form a 2b reversal (a technical signal that sometimes spots an exact bottom or top of a trend). One could take a long position at the open tomorrow and put a stop right below today’s intraday low. If the 2b reversal is valid then the low will hold and the stops will not get triggered. If nothing else it’s a low risk setup with a minimal loss but huge upside potential if we did print a bottom today. If the manipulation is going to continue it will probably try to regain control tonight. If we see another premarket hit tomorrow then step aside and wait to see if gold can fend off the attack again. As of 7 O’clock this morning the attack on gold has begun. The intervention is going to try and hold gold below $1250. If gold can fight off the attack two days in a row, that would be a strong sign the daily cycle has bottomed and maybe the bull has finally broken the manipulation. The $1 two day trial is still active. Click here to sign up for the trial and read the latest daily report.